Some may have checked out Apogee's The Border of Awareness that we reviewed in the Musea overview a few issues back, which is essentially the solo project of Versus X bassist / guitarist / vocalist Arne Schäfer. The Versus X album pre-dates the Apogee by about a year, but (probably because it's a completely independent release) it's extremely hard to track down here in the states. 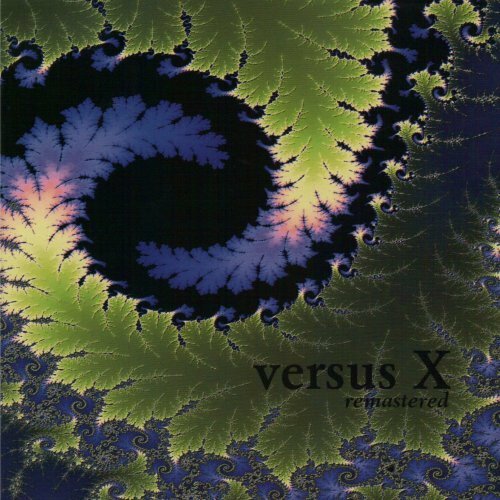 Versus X is a trio, with Ekkehard Nahm handling all the keyboard duties, and Stefan Maywald on the drum kit. Their sound is a heavy symphonic progressive with a gothic touch, and – though each of the tracks features vocals – their overall approach is more instrumentally oriented, smoothly moving from quiet introspective passages for piano and voice to grand and elaborate structures that the band carries full throttle. Since Schäfer writes all the lyrics, sings, and has a hand in writing all of the tracks, it follows that if one is acquainted with his solo project as Apogee, it should also be understood the music contained herein is basically in the same quarter. Schäfer's voice falls somewhere along the axis between Greg Lake and Peter Hammill with an evident, but not overbearing German accent. The overall sound is very original and for the most part defies easy comparisons, but due to lengthy multi-part compositions and the instrumental approach fits within the limits of what is typically considered progressive rock (not neo-). This is an album that may take a few listens to reveal itself, but should appeal to fans of bands like ELP and Van der Graaf Generator. Recommended.